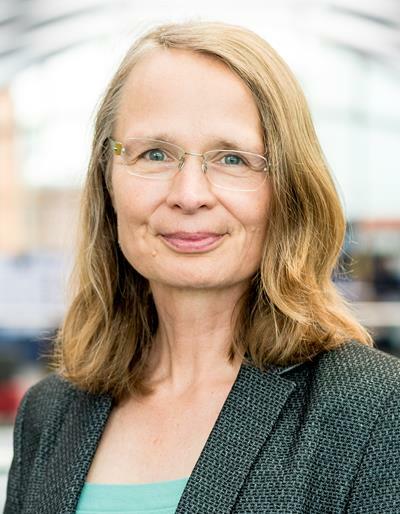 January 18, 2019 -- If anybody doubts the importance of checklists for safety and teamwork in radiology, they only have to be involved in an incident in which the wrong side or patient has been subject to an intervention or the incorrect procedure has been performed, according to Dr. Caroline Rubin, vice president of clinical radiology at the U.K. Royal College of Radiologists (RCR). Dr. Caroline Rubin, RCR's vice president of clinical radiology. "The best radiologist I ever met was also the one with the saddest career-ending story. Experienced in hundreds of biopsies, he got the wrong side one day. He was busy and distracted. The radiographers and nursing staff watching the routine case didn't interfere because that wasn't their role. He knew what he was doing. One avoidably dead patient in a whole working lifetime and all that goes with it for so many people. That's all it takes to define an otherwise glittering career. A deep breath, a one-minute chat to the team -- a reappraisal of what you are doing, how, and why. Staff who are empowered, know their role, and are part of the team. That's all it takes to avoid the major complication -- the one death" ("Standards for the National Patient Safety Agency and RCR safety checklist for radiological procedures," 2010). Against this background, the aim of the updated document is to offer sensible and relevant advice specific to radiology in the face of often conflicting guidance or instruction from elsewhere, Rubin noted in a foreword to "Guidance on implementing safety checklists for radiological procedures." The guidance is relevant to noninterventionists doing minor invasive procedures and interventional radiologists undertaking more major procedures, and it includes reference to evolving concepts and the institution of national safety standards for invasive procedures, she added. The use of checklists in England and Wales is mandated by the national and local safety standards for invasive procedures, but their use should be considered standard practice across the U.K., according to the guidance authors. "Checklists form part of a culture of patient safety to ensure that every team member is clear about the procedure being undertaken and engaged in ensuring that patients receive a safe service," they wrote. "This updated guidance provides advice on the adaptation of checklists for local use, and how all team members can be empowered to contribute to the delivery of a safe service." The new edition combines and replaces the previous RCR documents, "Guidance for Fellows in implementing surgical safety checklists for radiological procedures" (2013) and "Standards for the NPSA and RCR safety checklist for radiological interventions" (2010), which have now been withdrawn. Rubin acknowledged the help of Drs. Sam Chakraverty, Raman Uberoi, and Paul Malcolm in updating the document. Download the new guidelines free of charge from the RCR website.